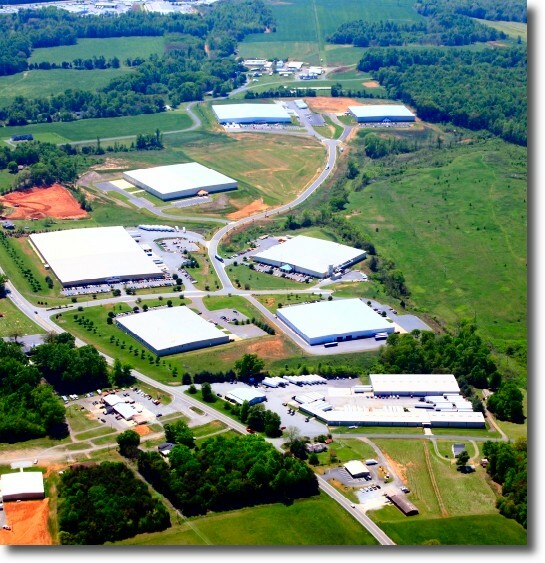 Counting our Lucky Stars in Davie County – SouthPoint Business Park Expanding! You are here: Home / Uncategorized / Counting our Lucky Stars in Davie County – SouthPoint Business Park Expanding! Terry Bralley counts Davie County’s lucky stars every day; one of the brightest is its partnership with the Hollingsworth Companies. The Davie County Economic Development Commission and the Hollingsworth Companies have announced an agreement to expand the SouthPoint Business by an additional 80 acres. Phase II of the SouthPoint Business Park will add three lots to the park with 425,000 square feet to 750,000 square feet of additional industrial space. Only one building of 90,960 square feet is still available from Phase I of the project. “As the supply of quality, modern industrial buildings is dwindling in North Carolina, we expect our only remaining building to fill quickly. The Phase II expansion will allow us to have land ready to capture the next project as soon as this building is filled, and continue to grow industry and jobs in Mocksville.” Tom Wortham – SVP of Architecture and Development of The Hollingsworth Companies said. In 1998, the Hollingsworth Companies founded the SouthPoint Business Park, which is comprised of 112 acres in 8 lots with 885,262 square feet of industrial facilities, and is located just north of Interstate 40 on US Hwy 601. The park is home to Larson Comfort Bilt, Gesipa Fasteners, Metal Sales Manufacturing, Davie Warehousing, Dunlop Aircraft Tyres, Entre Matic, and Seneca Medical. This expansion became possible when the North Carolina Rural Infrastructure Authority awarded the Town of Mocksville a $450,000 grant from the Industrial Development Fund to install a new road on Quality Drive in the Southpoint Business Park. This road will open up approximately 85 acres of land for future development.